Store News: Reopening on June 5th! It has taken a long time, but the the building holding our store has been repaired to the point where we can reopen it.And we WILL have a very full store of great clothing and other goodies. The building and the room holding our store was heavily damaged and we lost everything in the store (plus our inventory at our AARF office). We still need donations for when we can reopen. Please hold your donations until we open or bring them to the (also rebuilt) drop box at the Catholic church in The Valley. Thank you! Other information on this page may be somewhat out of date. We will provide updates on this web site, our Facebook page, and via our email list. 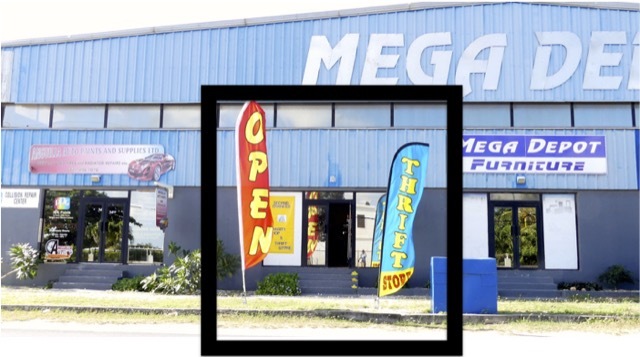 Visit our Second Chances Thrift Boutique in the MegaDepot building in The Farrington (map) for all kinds of clothing, electronics, household goods and much more. 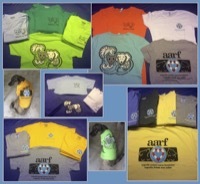 We also have selected AARF merchandise at the store. From The Valley, drive East on the long path road towards our shelter and it will be on the right hand side in the very large, blue MegaDepot building. 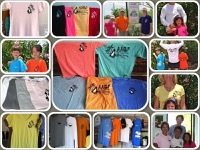 Get merchandise (with the AARF logo or other nice graphics). 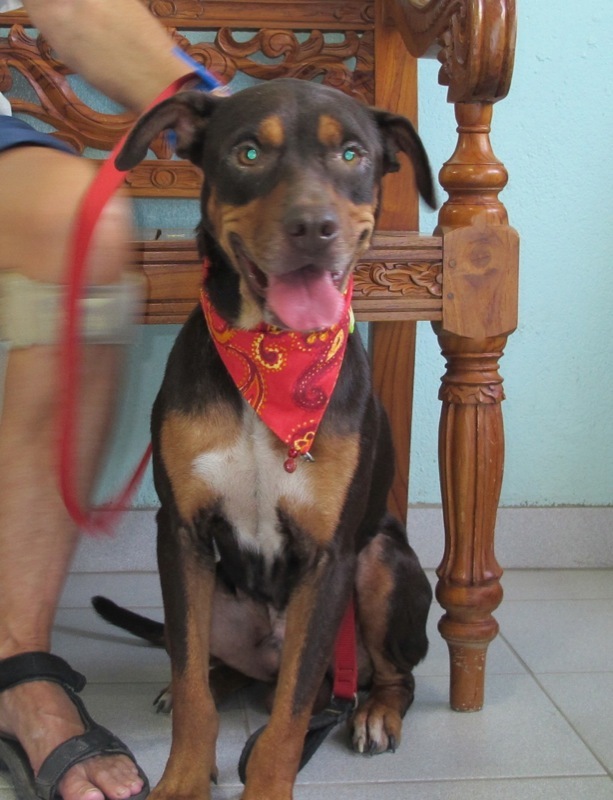 Get our goodies from our affiliated very special friends, Second Chances or from our shelter/adoption center at Morlens Veterinary Clinic (map). After two years, AARF has a new, great location in the MegaDepot building in The Farrington. Not only is it larger, but it’s completely indoors. And we are thrilled to thank our anonymous donor for the first year's rent! Want to help at the store? Volunteers and donations are always needed. If you’re able to help us out, please stop by during business hours, email us (see our email address on the right) or call AARF at 264–476–2731. The donation drop off box is still in its original location in the St. Gerard’s Catholic Church parking lot. Turn into the church driveway and you’ll see the donation box to the left in the field. 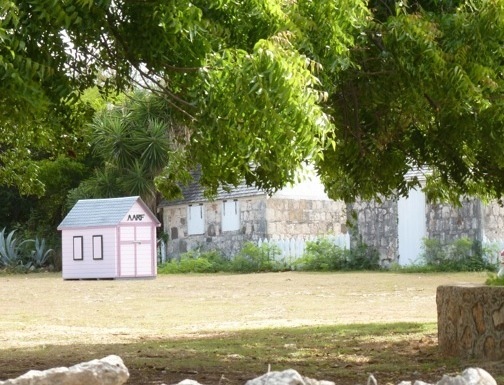 It is shaped like a small house (see below). Please continue to use the donation box for donations. 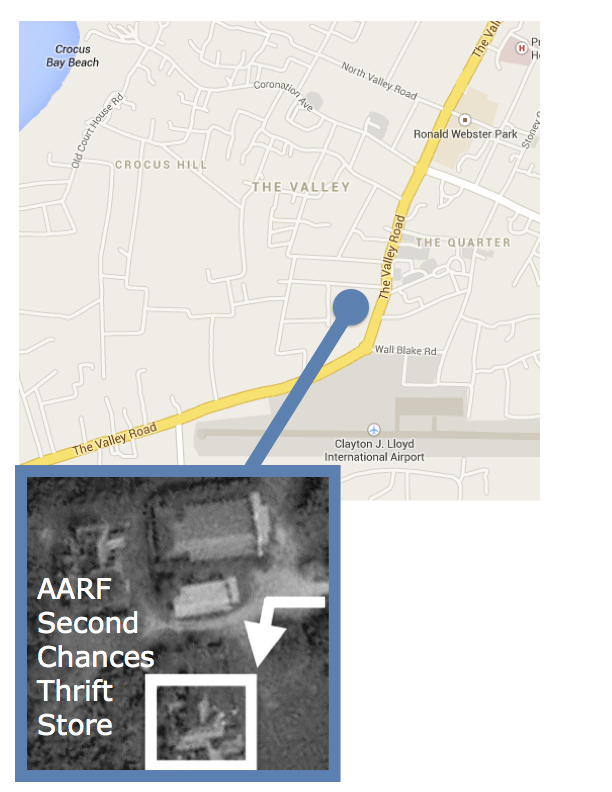 Or, if you have donations, drop by the store during open hours, or come by the AARF shelter when it is open. Please donate used goods in good/working condition, especially electronics as we have no good ways to test them (and also please make sure electronics have their adapters and/or chargers as well as any specialty cables with them). Thank you! Please do NOT park in the lot to the LEFT of the store (as you face the store). There is an auto repair shop operating out of containers there, and they will object. Instead, park to the RIGHT of the store as you face Second Chances (there is a large lot there). 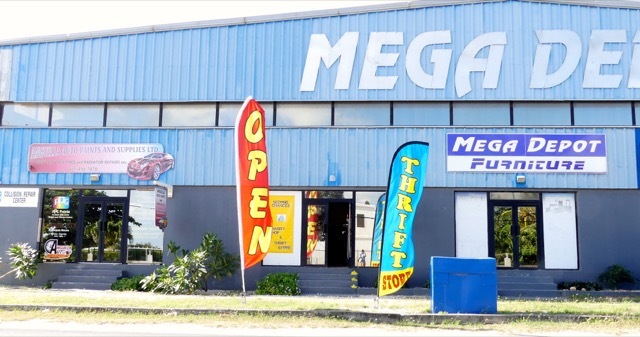 Drive down the street as though you were going to the Big Store (the old name was MegaSavers) and turn left into the lot to the side of the MegaDepot building. When we are open, we have flags and open signs by the store entrance and the door has painted shells on the steps. That number has voicemail, but is not attached to a phone that is carried or monitored by an AARF member; for time sensitive matters, please call our main AARF number and leave a voicemail. Volunteers are always welcomed and needed; if interested, please email our Volunteers Chair. 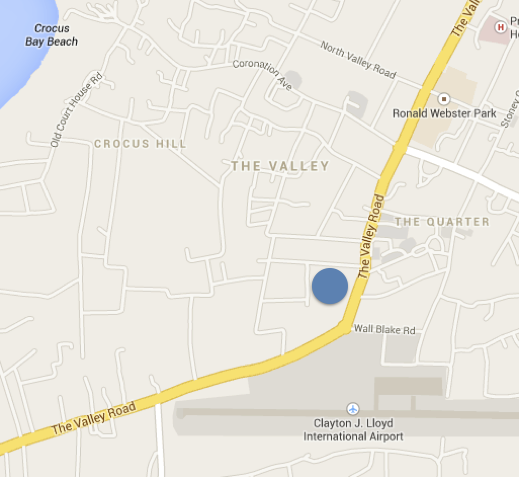 Our fantastic donation drop box is in place on the Wallblake Catholic church grounds (map here). Drive into the church driveway and you will see the box in the field to your left. There is an opening on the side closest to the buildings that can be lifted. Or take your donation (say, if it is too fragile) to the AARF Adoption Center/Shelter or to Second Chances when it is open. Second Chances is critical to our fundraising efforts, and we appreciate any donations of new or gently used merchandise. Huge thanks to Rebecca and Jim Taillon and Debbie Klingler, plus other AARF volunteers, for getting Second Chances up and running! 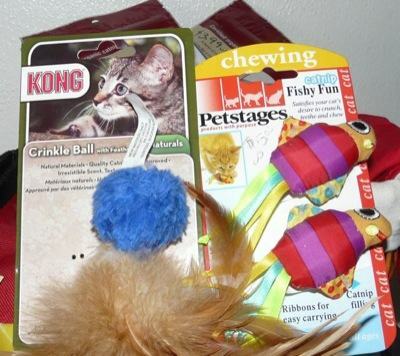 Get stuff for yourself or your four–legged friends! Shirts hats, and other goodies photos are below (following the various places you can get them). (Or check out our horizontal menu at the top of the page). 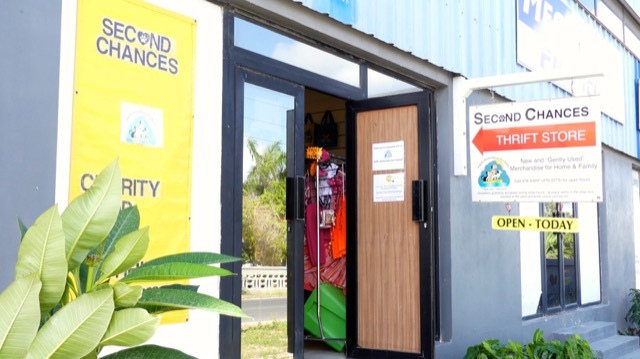 Pam at SeaSpray sells AARF clothing, along with nice gifts and souvenirs. She also has outstanding smoothies! 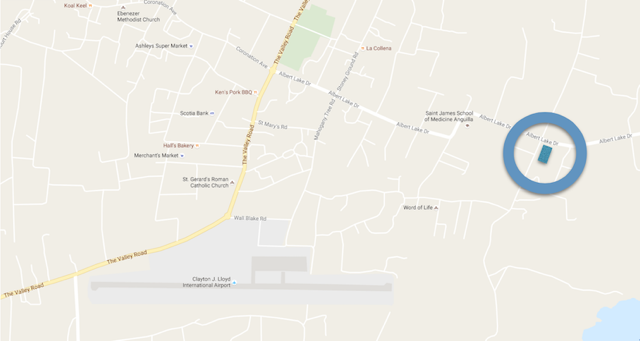 We have a map here (or click on the image on the right). Pam has been a supporting friend of AARF for a long time. We appreciate her support, so please visit, and think about getting a gift or smoothie while you are at it. 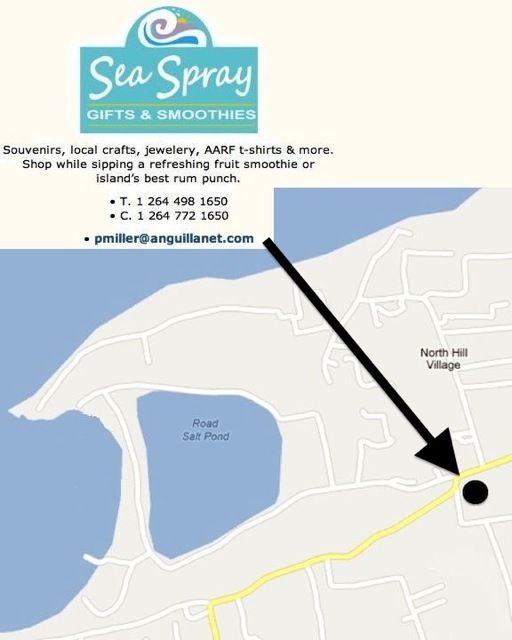 For more SeaSpray details, see their Facebook fan page. We have shirts for women, men and children. They come in nice tropical colors. Click on the collage below to see our shirts. The hats have our new Wavy and Nested Dog and Cat designs; we may still have a small selection of our classic hats. Click on any image to see our hat selection. 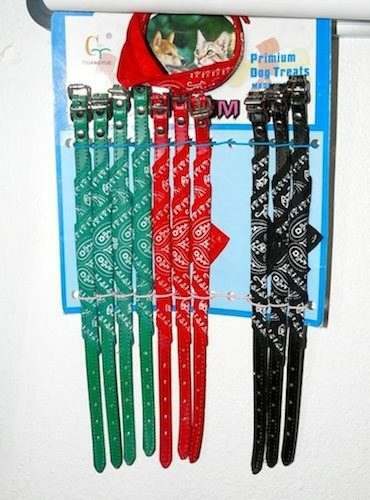 Thanks to many donors who bring us collars and leashes, we have a nice variety for people adopting or who need a “next one” (as we say on Anguilla). Here is a small sample of our items. Click any image to see our full selection. We have eco–friendly bags that hold bottles and all kinds of other things. We have soft carriers and crates for transporting pets on airlines and inexpensive cardboard boxes for taking your small pet to the vet clinic. 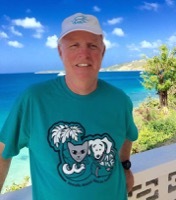 Note: our “Adopting a Pet — the Basics” web page has all sorts of information about how easy it is to adopt a pet from Anguilla and take home. It has links to airlines and government regulations, checklists and more! 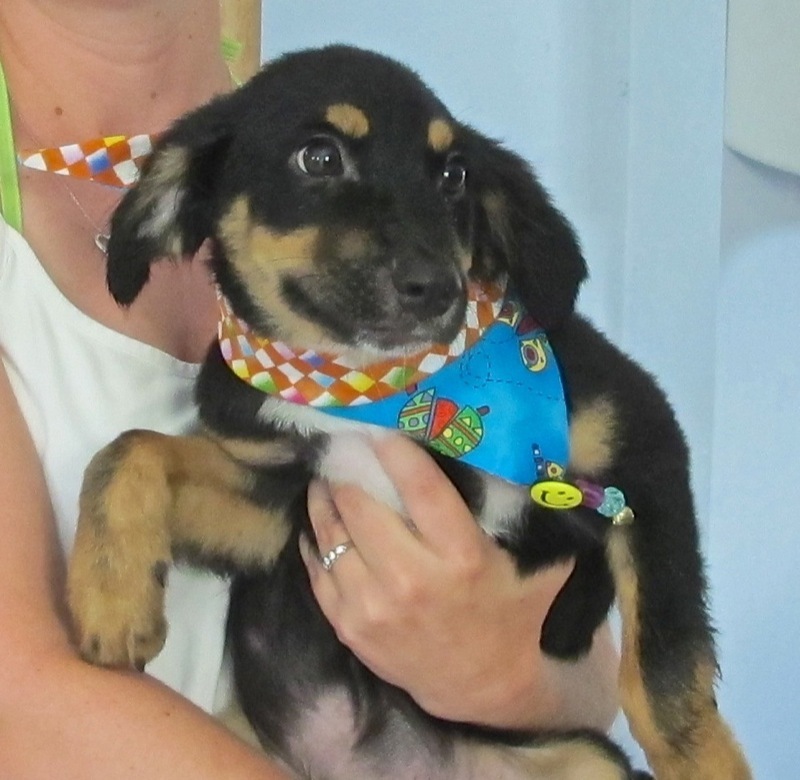 Check our great bandanas in many styles. 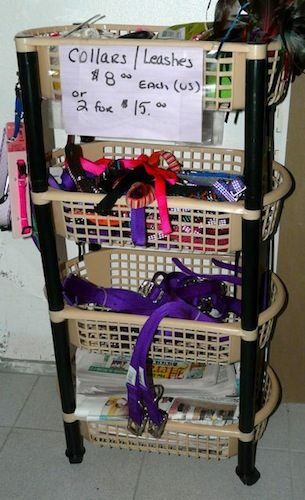 At the shelter, we carry other items as well. Please drop by!